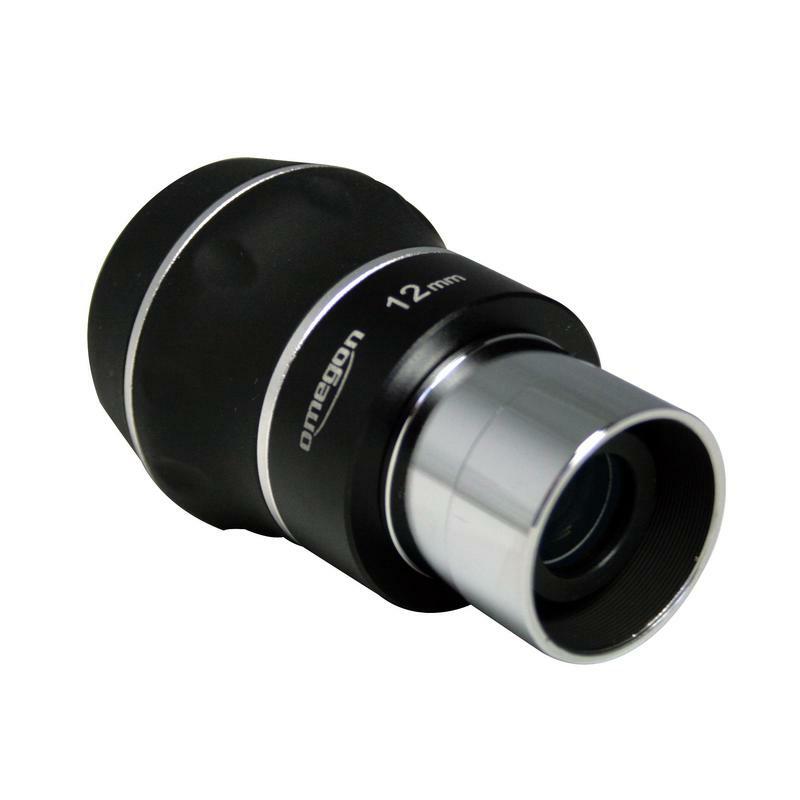 Most eyepieces suffer from image distortion at the edge of the field of view. If you move the object observed into the outer part of the field of view it becomes distorted. 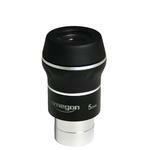 Omegon ED flat field eyepieces counteract this effect. Who does not want a really true to life and undistorted image? 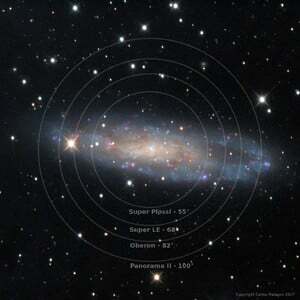 You can get really close to this ideal with flat field eyepieces. 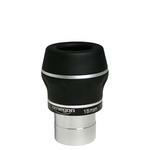 These flat field eyepieces have an ED lens element included which gives particularly good colour purity. Their optical construction also means that these eyepieces offer extremely high contrast and sharpness, way above the usual level. 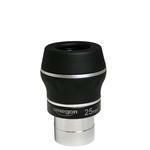 With a 60° apparent field of view, these eyepieces belong to the wide angle eyepiece category. Classic 'tunnel vision' eyepieces stay more and more in the drawer. 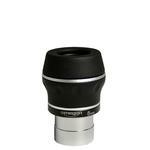 Compared to the familiar Ploessl eyepieces, ED flat field eyepieces give a field of view which is around 20% wider. The body of the eyepiece combines up to six lens elements, producing a really high quality eyepiece. All glass/air surfaces are multi-coated, preventing unwanted reflections and guaranteeing high brilliance and transparency. You can therefore expect extraordinarily good contrast when observing planets and DSOs through these eyepieces. 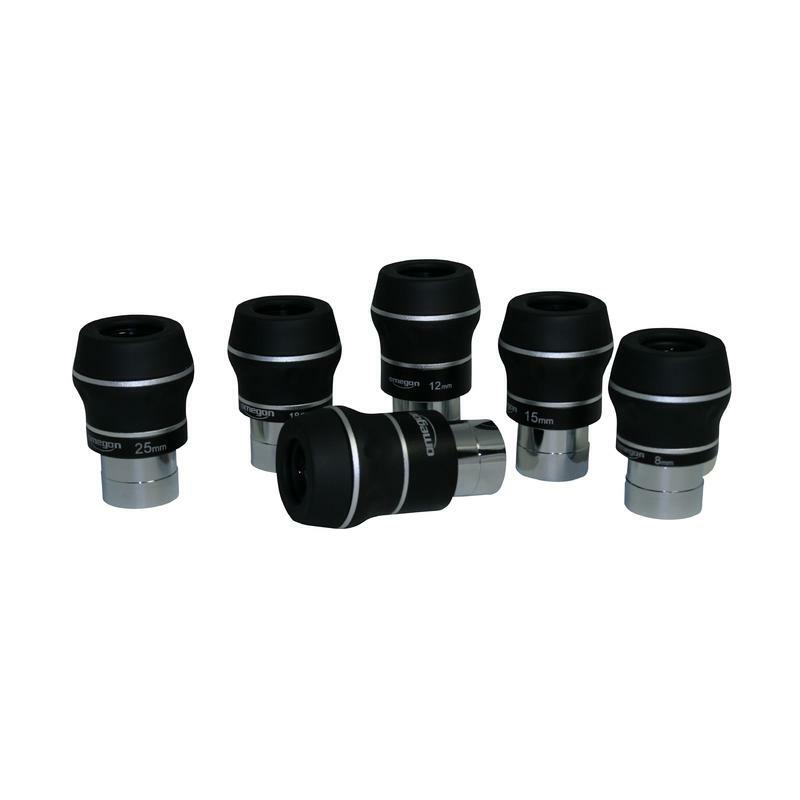 The eye relief with these eyepieces means they are particularly pleasant to use. There is no shadowing, even if you are not looking directly along the optical axis. 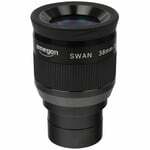 These eyepieces are available in focal lengths of 25/18/15/8 and 5mm. 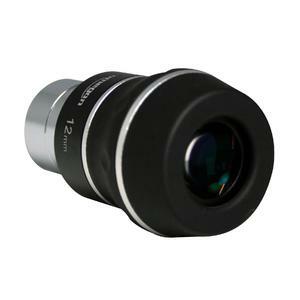 All these focal lengths have large ocular diameter of 21mm, meaning relaxed observing is possible even at high magnifications. 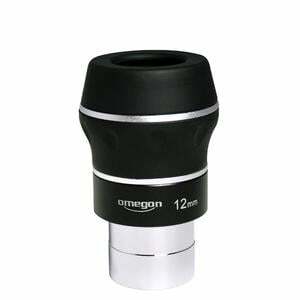 Omegon ED flat field eyepieces have a rigid screw-out eyecup to block scattered light. The 16mm of eye relief means these eyepieces are also suitable for spectacle wearers, as a rule allowing them to see the entire field of view. 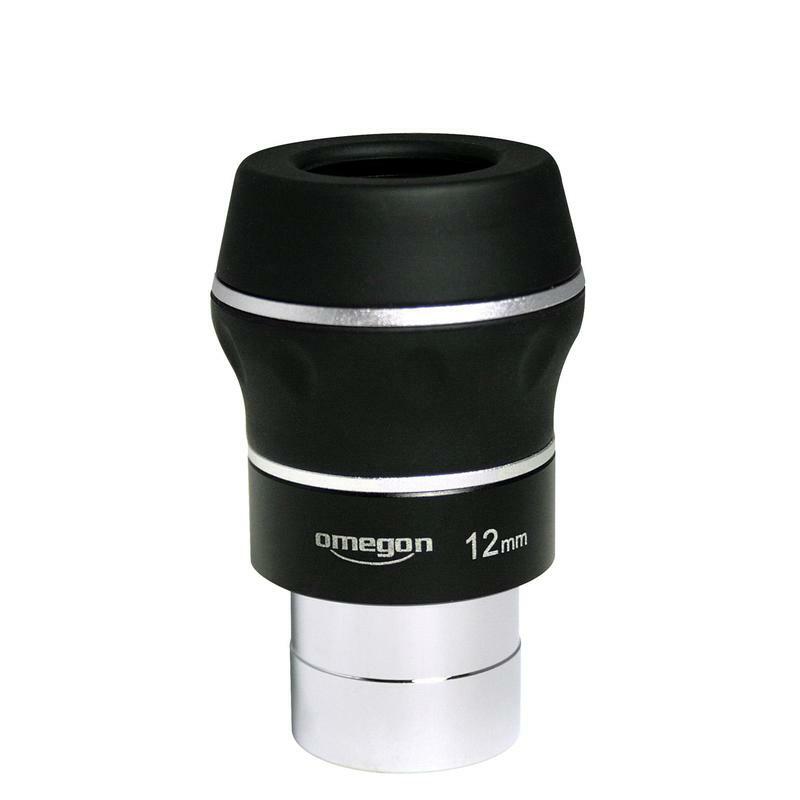 The eyepieces can be used with most telescopes without problem. 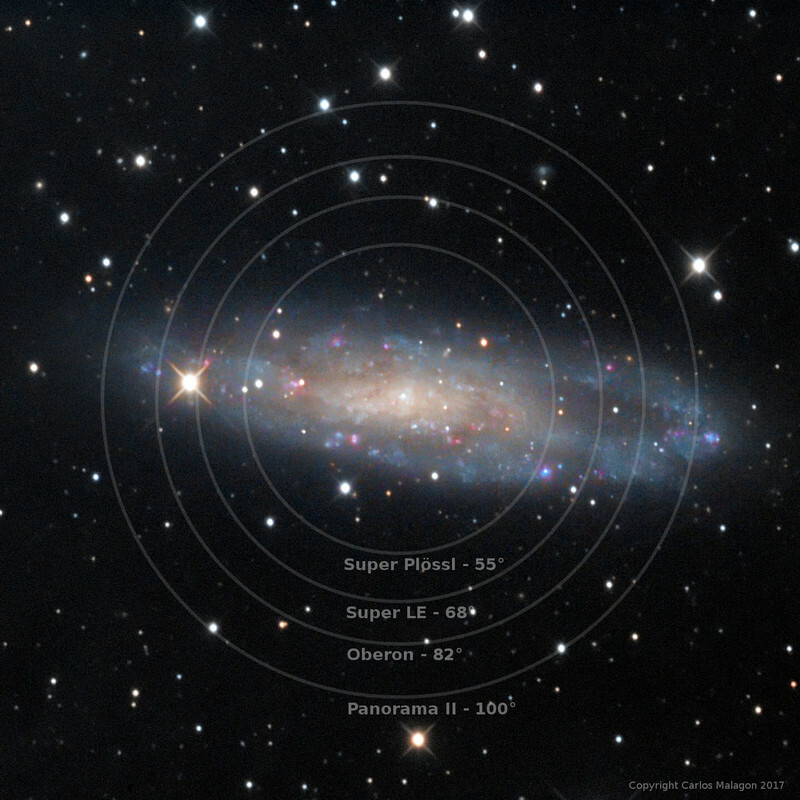 Even with Newtonian telescopes with a fast aperture ratio of f/5, the edge of the field of view has good edge definition.